Here's the audio from our April 2019 edition of Ask Strong Towns, a bimonthly webcast in which you can ask anything you want of our founder and president, Chuck Marohn, and our communications director, Kea Wilson. 2:05: Strong Towns regularly advocates for street trees. The arguments made make sense, but I have yet to see my biggest concern about street trees addressed. Trees roots can wreak havoc on water and wastewater lines, creating huge repair costs. Are there strategies to plant new street trees while protecting the underground utility infrastructure? 9:55: How does a land value tax work in predominantly rural areas? How would it affect the taxing of agricultural land? 19:45: In our city, we are dusting off a tool we had on paper but have not used much in practice: our Land Bank. What does a Strong Towns approach to a Land Bank look like? 28:00: What is the definition of a vibrant Downtown and why is it important to have one? 38:50: Does the higher density of the traditional development pattern require urban infrastructure (water/sewer lines, complete streets networks, etc.) to function? If so, how does a rural town/area incrementally grow in the traditional development pattern without building pricey infrastructure first? The wait is over. Chuck Marohn, Strong Towns’s founder and president, is back with an all-new episode of the Strong Towns Podcast! Thank you to all our listeners who were patient with us during our several-month hiatus. We did share a Greatest Hits series featuring eleven of the best Strong Towns Podcast episodes from the early days—before most of our current listeners were with us—and if you didn’t have a chance to give those a listen, we definitely recommend checking them out. You can find them in the Strong Towns Podcast feed wherever you get your podcasts (iTunes, etc). If you’re a regular listener, you’ve probably caught on by now as to why Chuck took some time off from recording new podcasts. Since last fall, he’s been furiously writing his first real, honest-to-goodness book: Strong Towns: A Bottom-Up Revolution to Rebuild American Prosperity. The book is available for pre-order now, and will be available in stores and online October 1st. We’ve even got some goodies available for those who pre-order. Pre-order details and instructions are here, so go reserve your copy! 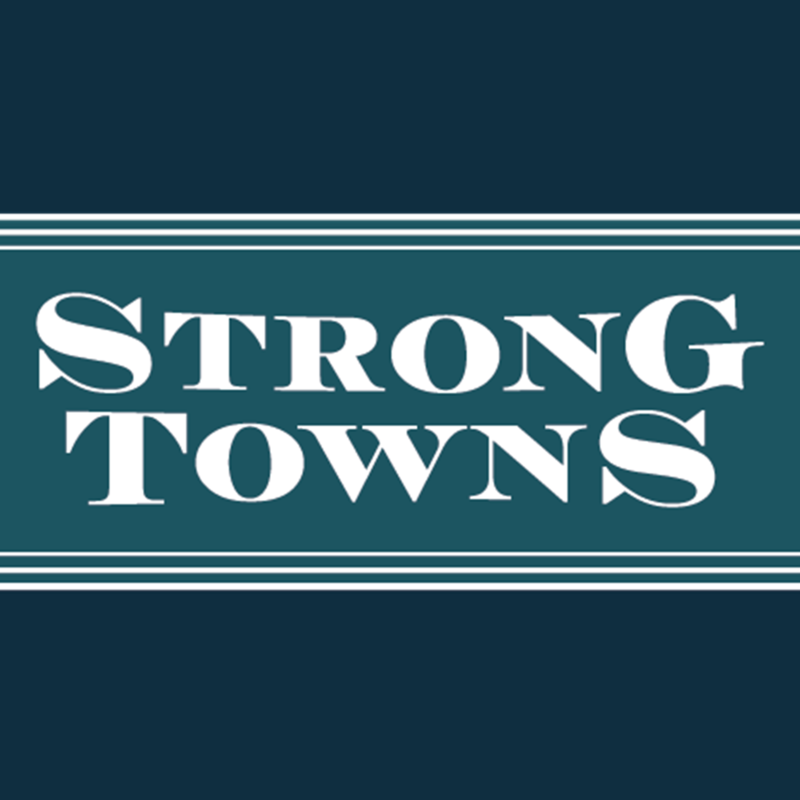 Yes, we’ve self-published a few Strong Towns essay collections before, but this is an all-new, full-length work that aims to capture the heart of the Strong Towns message and distill it for a much larger audience than we’ve ever been able to reach before. And we could not be more excited. Why Chuck started writing a book years ago, and why he didn’t finish it. How this one is different. And why he thinks this time, the time was right. Who this is for, and what we hope readers will get out of it. How we hope the Strong Towns conversation can be your “antidote” to the crazy, overheated rhetoric of national politics as another election season ramps up. A full breakdown of what all ten chapters are about. documenting the tour, with the help of Strong Towns staff and volunteers, in a special Strong America e-book to be released afterwards! We’re so excited about this. And glad to have you on board the movement to build a nation of Strong Towns.